We all know that bees are fundamental to our food system as pollinators. Pollinating our crops mechanically would be a technological nightmare and why should we even consider this when bees do it for us for free while producing a host of other fine health promoting bi-products in the process? Bees are everyone’s cause, with out them our global food system is at risk. The European Commission has proposed a ban on the use of bee-harming pesticides (neonicotinoids) for an initial 2 year period. This move is a step in the right direction to save our bees and ensure good food and good farming in Europe. During the first vote on this ban on March 15th 2013, Simon Coveney disgraced us by voting NO! Fortunately no majority decision was reached by the national ministers for agriculture from the different EU member states. On 29th April, the ministers are set to vote again in an attempt to reach a final decision. You still have time to influence our minister. If you live in Ireland, write to Simon Coveney today! Click here for help with your letter writing or for information on how to do this in other EU countries. How trailing GM potatoes puts our Irish honey at risk…Should this inform our concerns about neonicotinoids? When I became concerned about Teagasc’s application to the Environmental Protection Agency (EPA) to trial GM potatoes in Ireland last year one of the first things I thought of was our bees. I contacted my local beekeeping association for information. They explained that bees do not harvest potato pollen, so on the face of this knowledge it appeared that there would be no danger of bees cross pollinating the GM potatoes with other domestic potato varieties. 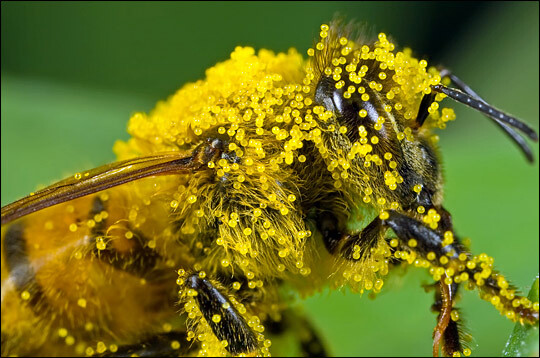 Teagasc also argued that the life of potato pollen is extremely short, so even if a bee did accidentally carry GM pollen onto another domestic potato plant it would not be active on arrival, assuming the distances between them were adequate. They argued that this issue was dealt with in the criteria for the trial. A quotation taken from Hazard of Pesticides to Bees Avignon (France) September 07-09 1999 by L.P.Belzunces, C Pelissier and G.B. Lewis states that “An analysis of the pollen washed out of the hairs of the bees showed that there was found potato pollen in all bee samples and in one sample potato pollen was the leading species”. On the basis of the available research, The Federation of Irish Beekeepers’ Associations formally objected to Teagasc’s application to the EPA to trial genetically modified potatoes in Ireland. Hey Simon, I am a student researching honey bee mortality and I am wondering if I can use you image of the child’s drawing of the bee for a project? Additionally, what is the original source of the image? I would love to know and love your account on neonicatinoids.